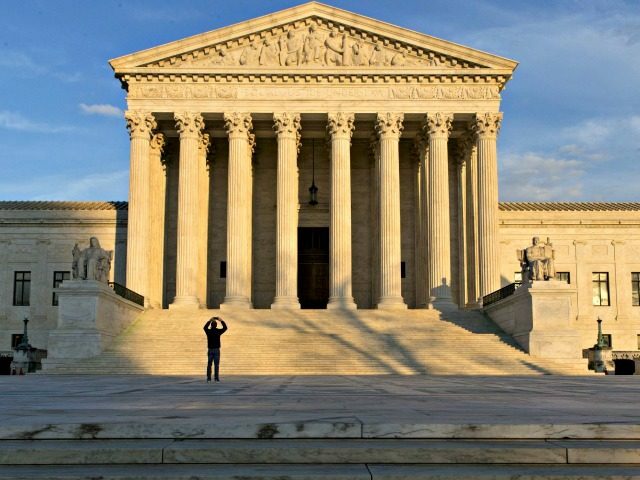 WASHINGON, DC – The Supreme Court ruled in favor of President Trump and his “extreme vetting” immigration policy across the board in a 5-4 decision on Tuesday, holding that the permanent entry restrictions from seven terror-prone nations codified in Presidential Proclamation 9645 is fully consistent with Congress’s Immigration and Nationality Act as well as the Establishment Clause of the U.S. Constitution. “The Proclamation is squarely within the scope of Presidential authority,” the Court declared in its opinion authored by Chief Justice John Roberts. “Under the Immigration and Nationality Act, foreign nationals seeking entry into the United States undergo a vetting process to ensure that they satisfy the numerous requirements for admission,” Roberts began. “The Act also vests the President with authority to restrict the entry of aliens whenever he finds that their entry would be detrimental to the interests of the United States,” quoting 8 U. S. C. §1182(f). “Relying on that delegation, the President concluded that it was necessary to impose entry restrictions on nationals of countries that do not share adequate information for an informed entry determination, or that otherwise present national security risks,” he continued, quoting the language of Presidential Proclamation 9645. 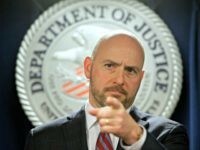 “To further that purpose, the Proclamation placed entry restrictions on the nationals of eight foreign states whose systems for managing and sharing information about their nationals the President deemed inadequate,” Roberts added. The plaintiffs in the case argued that Proclamation 9645 is not authorized by the Immigration and National Act (INA). “The INA establishes numerous grounds on which an alien abroad may be inadmissible to the United States and ineligible for a visa,” the opinion explains. “Our cases recognize that the clearest command of the Establishment Clause is that one religious denomination cannot be officially preferred over another,” Roberts began that part of the opinion. “For more than a century, this Court has recognized that the admission and exclusion of foreign nationals is a fundamental sovereign attribute exercised by the Government’s political departments largely immune from judicial control,” the Court declared. “Nonetheless, although foreign nationals seeking admission have no constitutional right to entry, this Court has engaged in a circumscribed judicial inquiry when the denial of a visa allegedly burdens the constitutional rights of a U. S. citizen,” the justices noted. The upshot of our cases in this context is clear: “Any rule of constitutional law that would inhibit the flexibility” of the President “to respond to changing world conditions should be adopted only with the greatest caution,” and our inquiry into matters of entry and national security is highly constrained. Justice Anthony Kennedy filed a concurring opinion in addition to joining the Court’s majority opinion, writing separately to encourage the political branches of government to aspire to unifying and welcoming rhetoric on divisive issues that arise in this context. Thomas focused most of his attention on the growing trend of individual federal trial courts issuing orders blocking the Trump administration. These injunctions are beginning to take a toll on the federal court system— preventing legal questions from percolating through the federal courts, encouraging forum shopping, and making every case a national emergency for the courts and for the Executive Branch. “In sum, universal injunctions are legally and historically dubious. If federal courts continue to issue them, this Court is dutybound to adjudicate their authority to do so,” he concluded. Justice Stephen Breyer wrote a vigorous dissent, joined by Justice Elena Kagan. Justice Sonia Sotomayor wrote an even more impassioned dissent, joined by Justice Ruth Bader Ginsburg. In her dissent, Sotomayor compared Tuesday’s decision to the Supreme Court’s 1945 decision in Korematsu v. United States, where the Court upheld holding Japanese-Americans in internment camps during World War II. The case now goes back to the lower courts for additional proceedings, but the Supreme Court’s holdings on these legal issues are now permanently binding as a precedent of the Court. The case is Trump v. Hawaii, No. 17-965 in the Supreme Court of the United States.